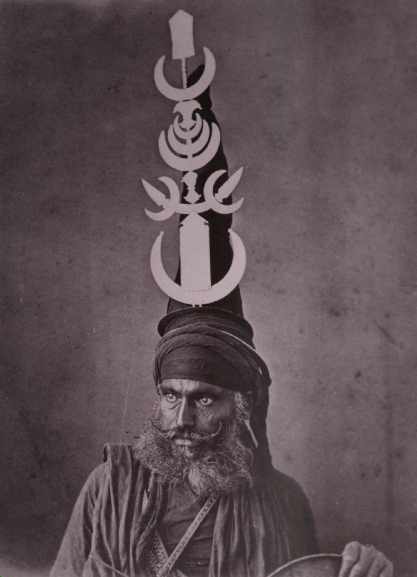 In the land of Runjeet Singh are a kind of military, spiritual Dervishes, highly respected, and revered by the nation, and even considered to be sacred. They are called Akalee, immortal. 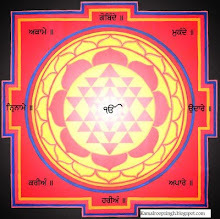 This sect was originally founded by Gooroo Govind Singh, the tenth Gooroo of the Seiks. The Seiks were formerly a spiritual people, and did not aspire to temporal power ; they were however in the habit of disturbing the peace of the country, and resisting the authority of the Mahomedan government, from the religious animosity which naturally existed between them. This led to the persecution of the sect, and in the time of Aurunghzeeb, Emperor of Delhi, the Mahomedans succeeded in seizing the Gooroo Dekht Bahadar, the 9th priest of the Seiks, who was put to death at Delhi. Gooroo Govind Singh, on his accession to the primacy, invoked the vengeance of God, to revenge this insult, and determined to prosecute a war against the Moghul. After various successes, he was defeated, and obliged to abandon his country. Those of his followers, who remained firm to him in the contest with the Moghuls, he honoured by the nomination of Akalee, or the immortal; and from that time they became a mendicant race. The Seiks became independent during the reign of Furokhseer, the Emperor of Delhi. The Akalee in. creased in number, and they are noted for their predatory and fanatical habits and impertinence. Seventy years ago, the Seiks established their authority in the Punjab. The Akalee wear a distinctive dress, of dark-blue, and a high cap, in which they generally wear iron rings, resembling a quoit, which the Seiks formerly used as an implement of war. Journals of the Rev. Joseph Wolff. 1832. Thank you for posting this. You do a great sewa by finding an historic account like this and showing the sangat.